The sun shines brightly as I survey this year’s vegetable garden. There’s still corn to be harvested, some green tomatoes that must be brought in to finish ripening before a frost, and a few root crops that can wait until later in the month. Each year is different. This was the year of herbs, beans and lettuces. And probably when I get to all the bowls of ripe and ripening tomatoes sitting on my kitchen counter, it will be the year of the tomatoes. Of all the vegetables I grow each year, tomatoes are the most important. I make sauces, eat them fresh, and can them whole for use during the winter months. One year, my tomato plants got a blight, which meant, much to my sorrow, I had to buy canned tomatoes at the supermarket. Not this year. There is such a difference in flavor when we grow our own. 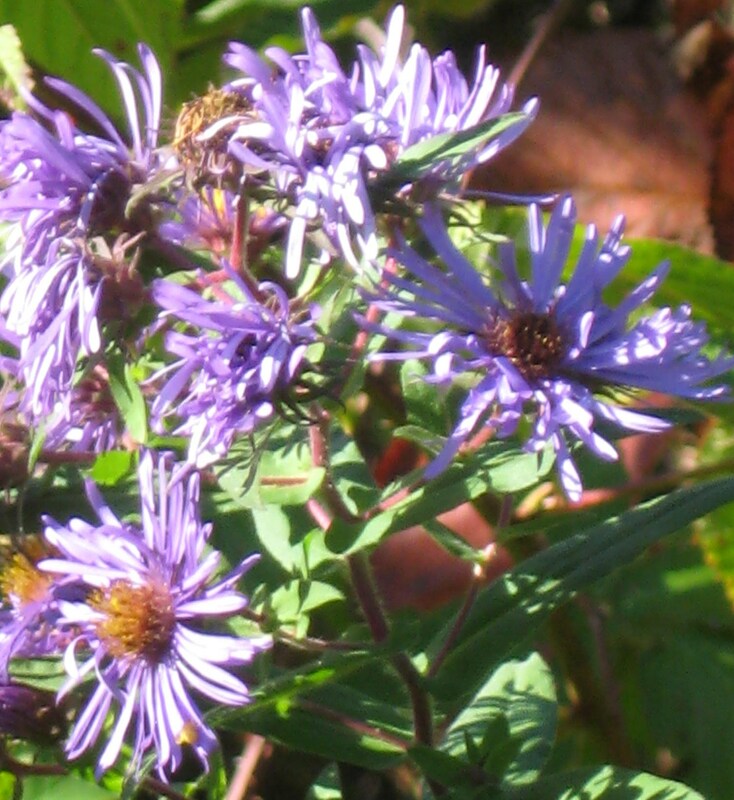 But now, in early October, it’s time to not only clean up the garden mess, but also to plan for next year. Our compost bin will soon be filled with plant debris, and next spring, something will grow from the waste I put in there. Some years, it’s potatoes. Other years it might be tomato plants. It’s always a surprise to discover what seeds itself over the months. Particularly when it does it all by itself yet won’t grow when I carefully plant and tend it in the garden. While harvesting the last of the vegetables, it’s equally important to weed. Remove as much grass and weeds as possible. You’ll be thankful when it’s time to plant the garden for the summer of 2018. Also take time to decide which crops did well and which didn’t, and why. That helps tremendously when planning for next year’s garden. Several years ago, seed catalogs didn’t start arriving in the mailbox until after Christmas. Not any more. As soon as one gardening season is almost finished, the seed companies are preparing to sell us more seeds. I keep seeds I didn’t use in a box, sorted according to variety. When I’m ready to order, which will not happen until well after Christmas, I can quickly survey what I have and what I will need. The percentage of germination isn’t as high with leftover seeds, but it’s still good enough. I may have to plant those leftover seeds a little thicker than I would seeds meant for the current year. The end of the season is also the time to decide whether we want to grow a larger or a smaller garden. Many of us, including myself, want to grow everything! That’s all well and good until it comes time to keep each row weeded. Planting is the easy part. Keeping the fledgling plants free of weeds is quite another thing. For me, though, I know what I must grow and what I can do without. Each garden contains corn for that wonderful summer corn on the cob. And beans, not only because they taste good, but because they are easy to grow and almost never fail. Tomatoes are essential because of the many uses for them. Lettuce for fresh salads. And winter squash so we can enjoy our very own at holidays and other times throughout the year. They keep very well for several months as long as they are stored in a cool, dry, dark place. Unfortunately, I was not successful with winter squash this year; my goose flock discovered the young plants and decided they tasted good. The rest of the garden is enclosed with a four-foot-high wire fence, so the geese can only look longingly. The squash patch wasn’t protected. So next year . . . I didn’t even get a chance to do battle with wild birds this year. The elderberry bush out back was heavily laden with huge clusters of purple berries. The night before I planned to harvest the berries and make jelly, birds swooped down and totally wiped them out. 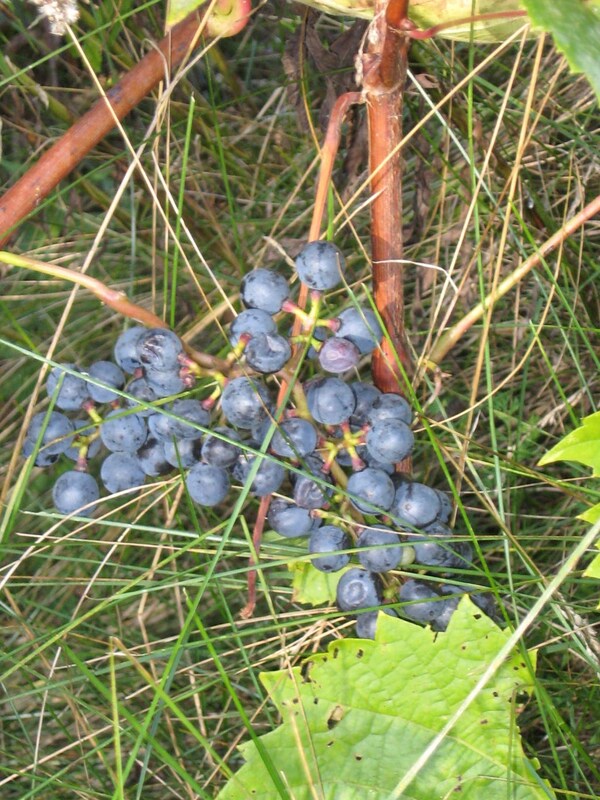 I still have hopes for making grape jelly and apple jelly. * Pick the last of the lettuce for fresh salads. * Pull beets and carrots, right up until the ground freezes. * Take a good, hard look at the garden and decide what you want to plant again, and what may not be worth the effort. 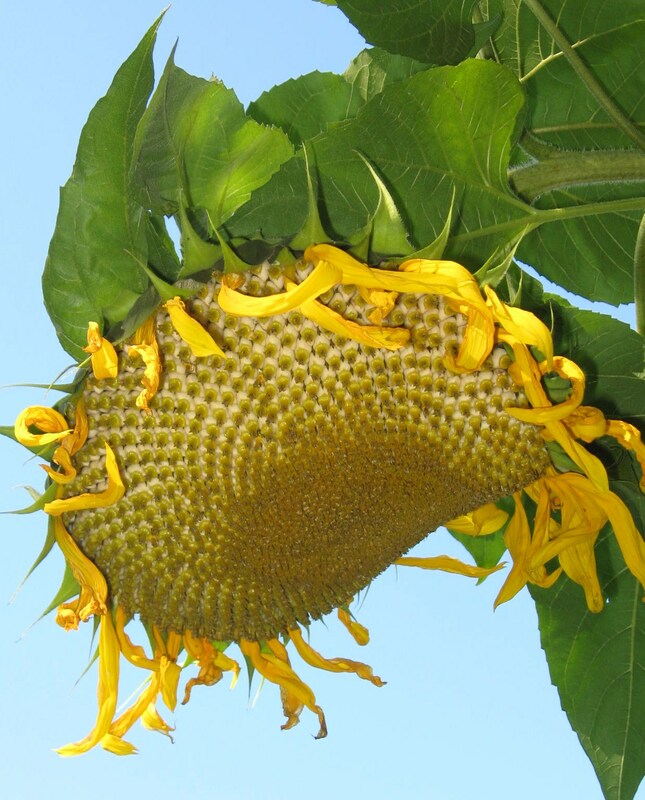 * Harvest the sunflower seeds for the bird feeder. * Create wildflower bouquets. Just because the goldenrod and other wildflowers may not be at their peak, doesn’t mean they won’t make great bouquets. I like to have such a bouquet placed on my kitchen table because it tracks the season with its own special beauty. * And above all, remember to thank our magical earth. A late-season sunflower droops. Its seeds will be perfect fill for the bird feeder. 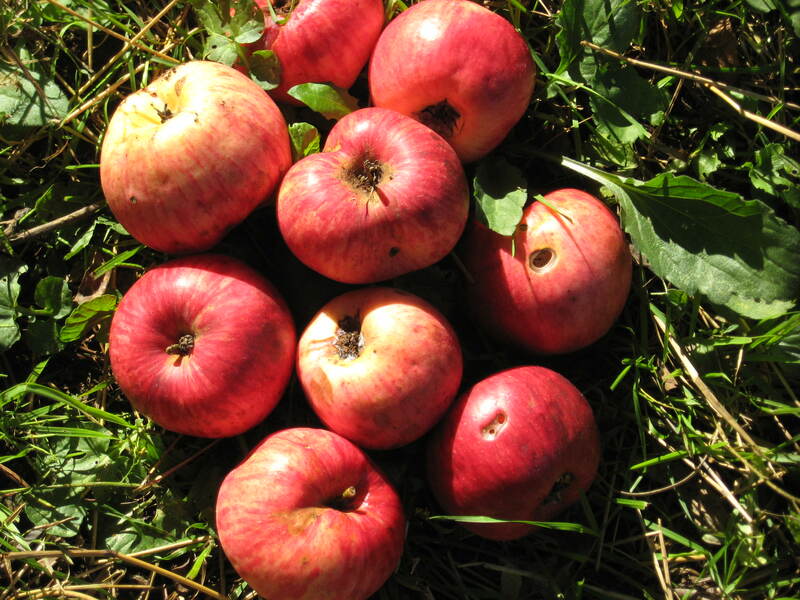 The author plans to make apple jelly from her Wealthy apples. Wildflowers make a perfect seasonal bouquet for the kitchen. 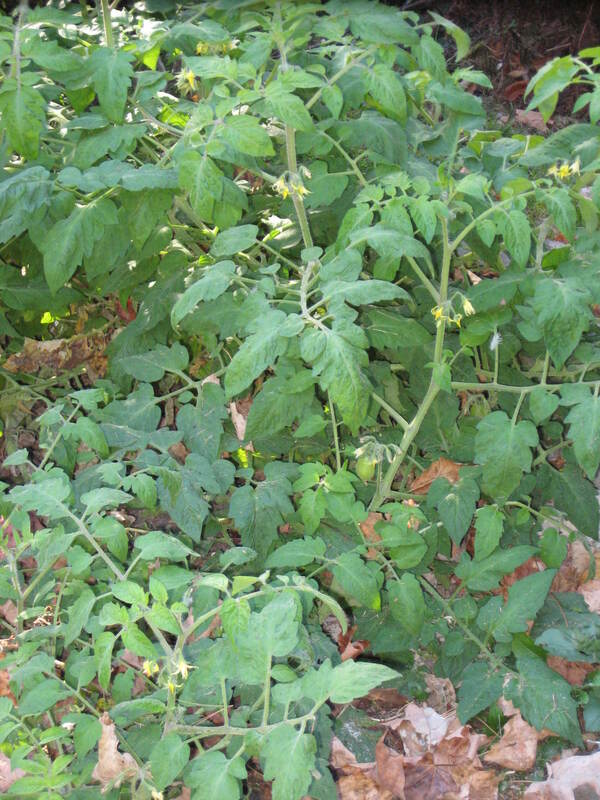 It’s slim pickings on this sprawling tomato plant near the author’s home. It’s been a good season for tomatoes. Sweet concord grapes are headed into jelly jars in the author’s kitchen.